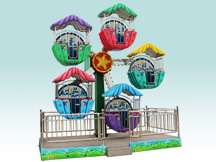 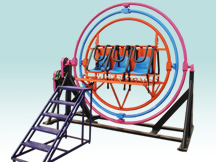 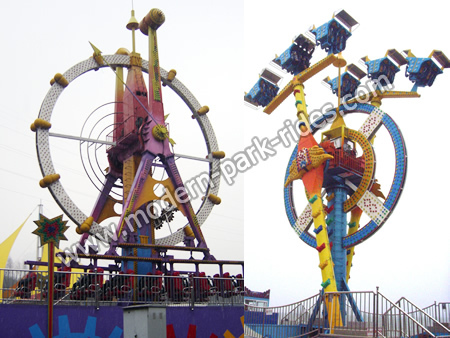 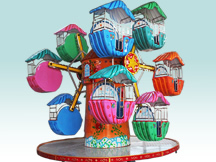 Modern amusement design and produce amusement park rides,has kinds of theme park rides for sale.we have sell many amusement park equipments for theme parks.Of course has many other fairground rides for sale,we can customized the theme park rides for your like. 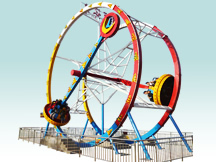 How the paniclock thrill rides works: the main motor (dual output shaft) via belt, gear reducer, will power transmitted to a large gear on rotating arm, the arm is rotated at a constant speed of rotation of the motor by controlling the tone to change the cockpit movement. 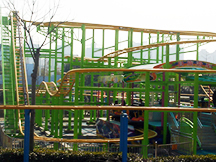 The paniclock thrill rides inverter is used, PLC programmable logic controller automation.